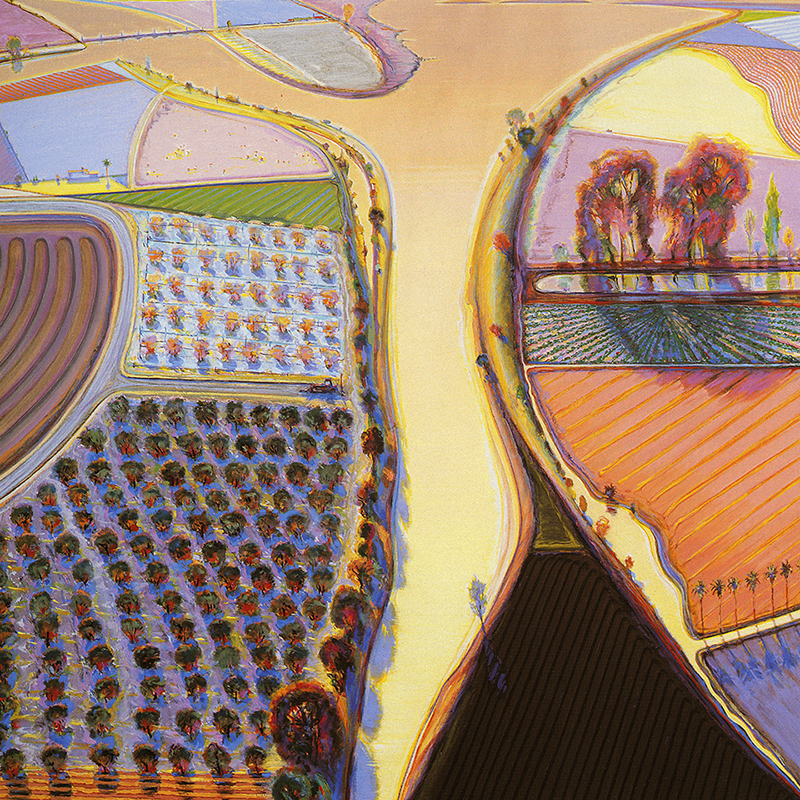 Wayne Thiebaud‘s landscapes look like aerial views of beautiful happy pieces of land and still-life paintings look deliciously edible. 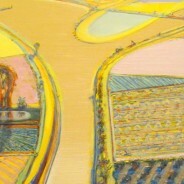 In his landscapes, he employed a color palette similar to the one he used for still-life paintings such as frosty lemon yellows, powder blues, bright oranges – you will almost want to pick up a piece of the landscape and bite into it. 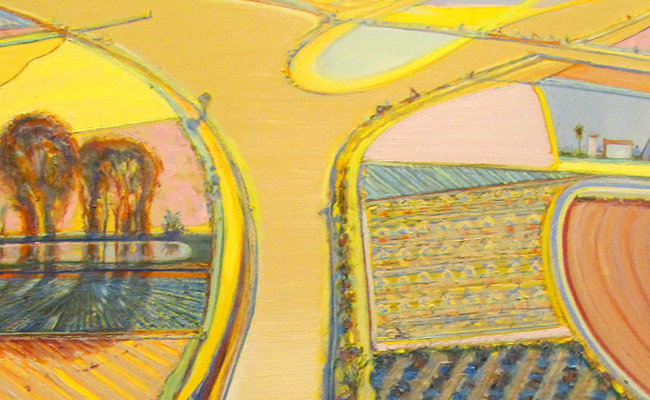 Look at the multiple shadow perspectives in this painting – Thiebaud was representing various times of the day within the painting, and various vantage points! 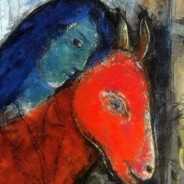 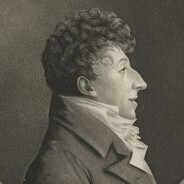 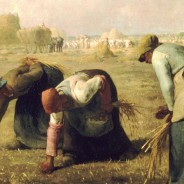 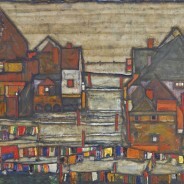 His focus on beauty found in everyday life made him popular among collectors. 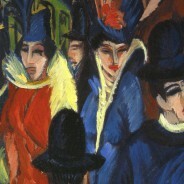 Using thick, impasto paint and heavy pigment he celebrated American culture, creating well-defined shadows not only of elements in his paintings but also of ideas typical to the country’s middle-class. 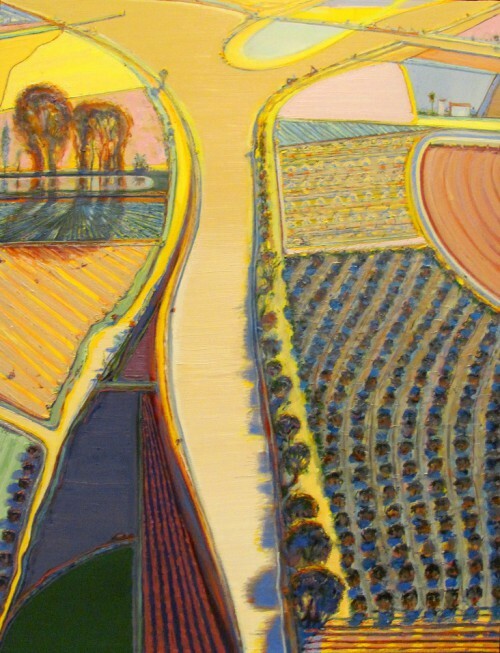 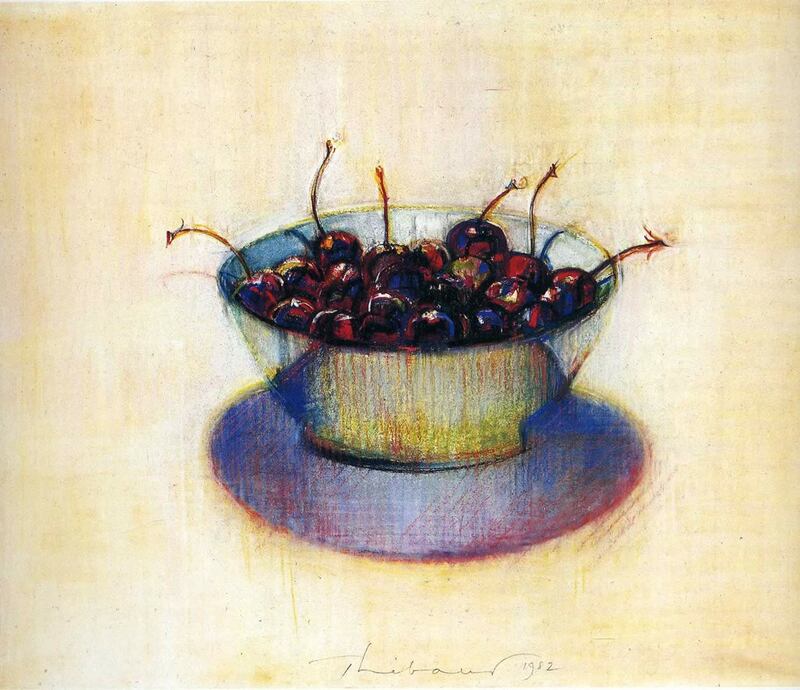 Crocker Art Museum, gift of the Thiebaud Family, 2010.10 Art © Wayne Thiebaud/Licensed by VAGA, New York, NY. 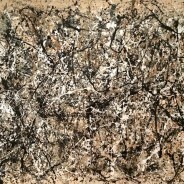 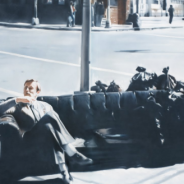 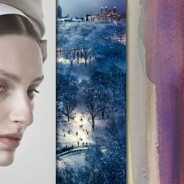 Top Art Stories: February 22, 2013 Edition.